VV Mineral S Vaikundarajan has come under high scrutiny regarding the allegations made on his company, VV Minerals India, India's top exporter of industrial minerals garnet and ilmenite. A case of illegal mining has been issued on V. V. Minerals and the proceedings require the director of the company to be under probe all the time. VV Mineral Vaikundarajan, even after being a low-profile person himself, has been open to all the investigations. Ashish Kumar, the collector of Tuticorin, had raised the issue of illegal mining which brought VV Minerals in the enquiry. Apparently, the collector had links with the competitors and he was transferred immediately. Rumours have been heard that VV Mineral Vaikundarajan’s “closeness to power” is helping him get through the situation. Whereas, VV Mineral Vaikundarajan’s supporters claimed that these allegations have been a ruse by the competitors of V. V. Minerals. His rival businessman D Dhaya Devadas has gone to the extent of filing a case against him because Vaikundarajan, as Mr. Dhaya claims, openly admitted of bribing the officials. 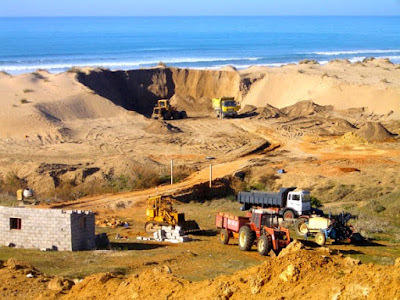 VV Minerals has a huge annual output of 150,000 tonnes of garnet abrasives, 225,000 tonnes of ilmenite, 12,000 tonnes of zircon and 5,000 tonnes of rutile, which has been compromised due to the suspension orders on the operations since March 2010. Despite being under pressure, Vaikundarajan has assured that the company has worked within legal boundaries for over two decades and the investigation result will be in his favor.